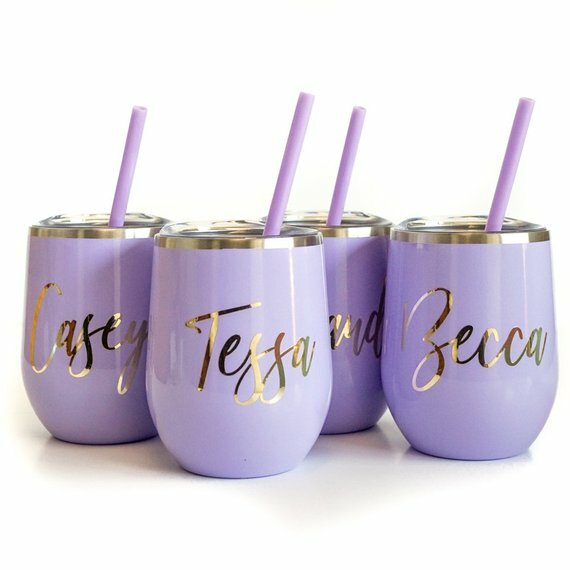 Okay, you guys: just when you thought you’ve seen ALLLLL the custom tumblers out there, we’ve found another style to love! 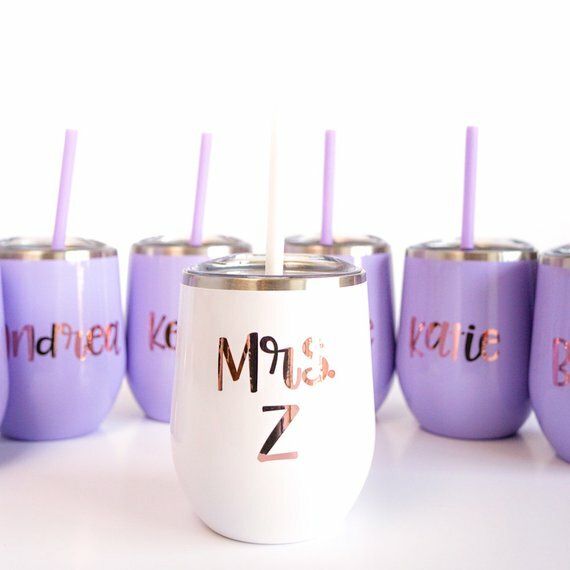 These drink tumblers are the latest favorites for bachelorette parties. 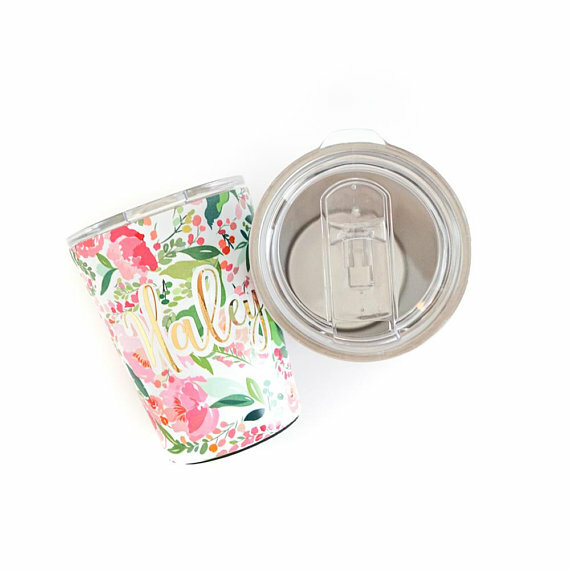 We’ve hand-picked these custom tumblers from LaLaConfetti in a floral design (and also made for coffee, win-win!) as today’s Handmade-a-Day pick! 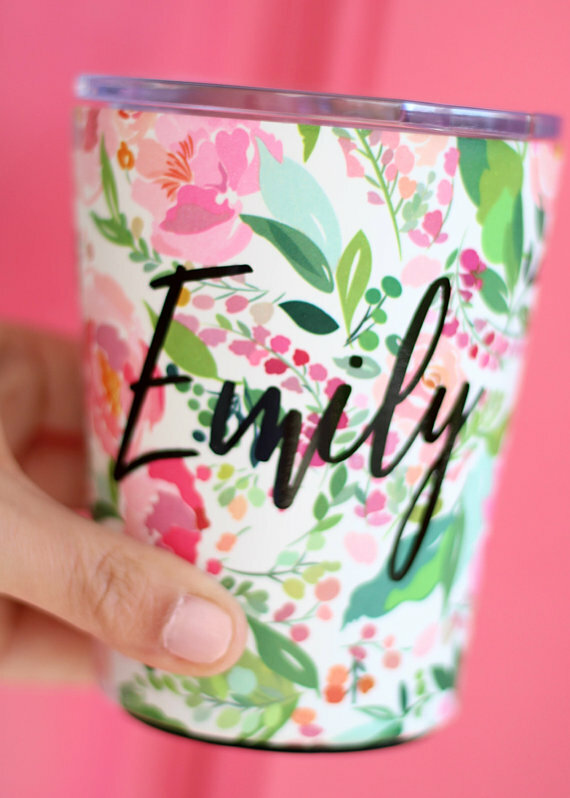 We’re also sharing other personalized tumblers (in case floral is not your thing). Take a look and tell us what you think! I love the pink / white assortment! 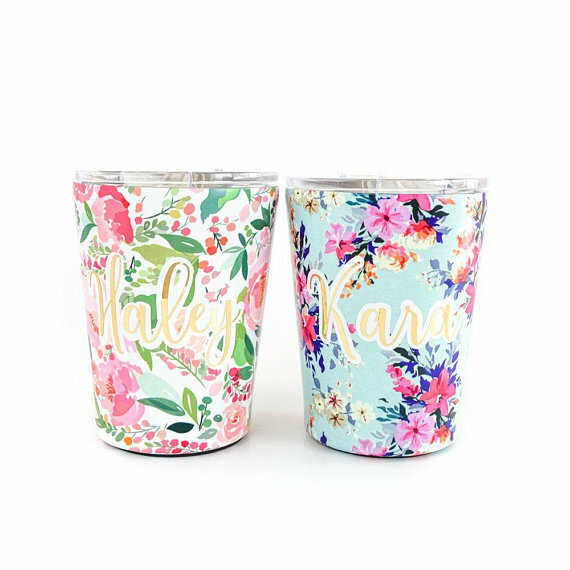 Here’s the floral tumbler cups we spotted first. I love the size and lid on these tumbler cups. 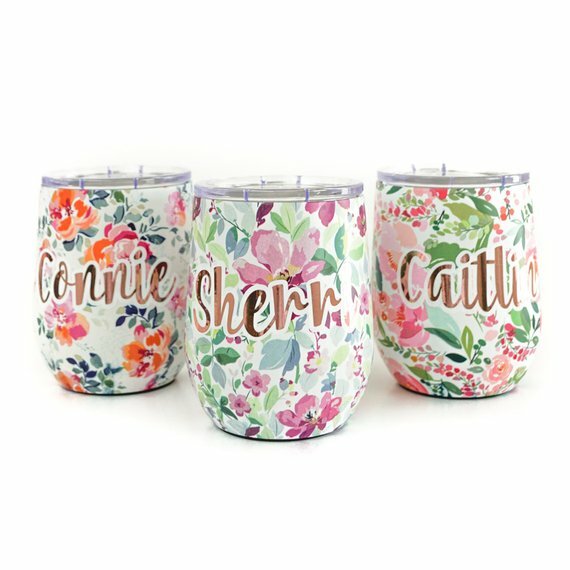 Here’s a larger size floral tumbler. 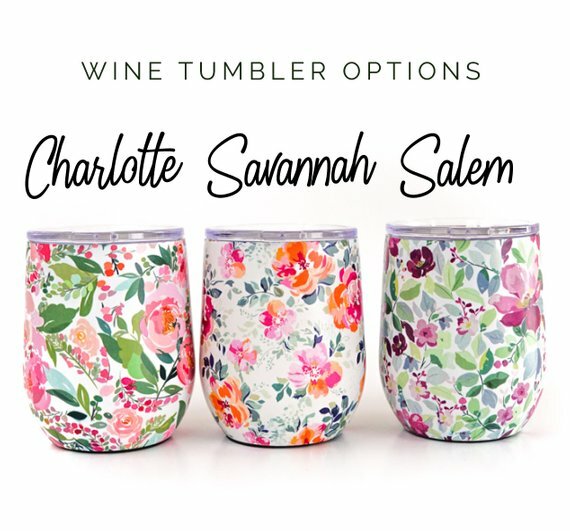 Prefer a solid tumbler instead of a floral print? 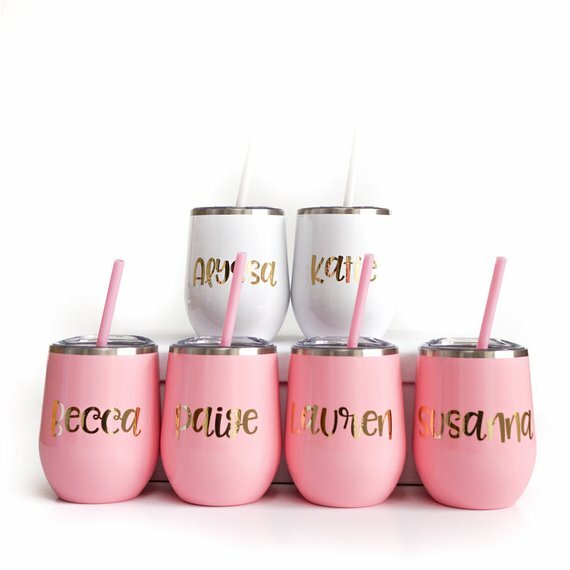 These personalized tumblers with lids and straws are another great choice for bachelorette / bridesmaid gifts. 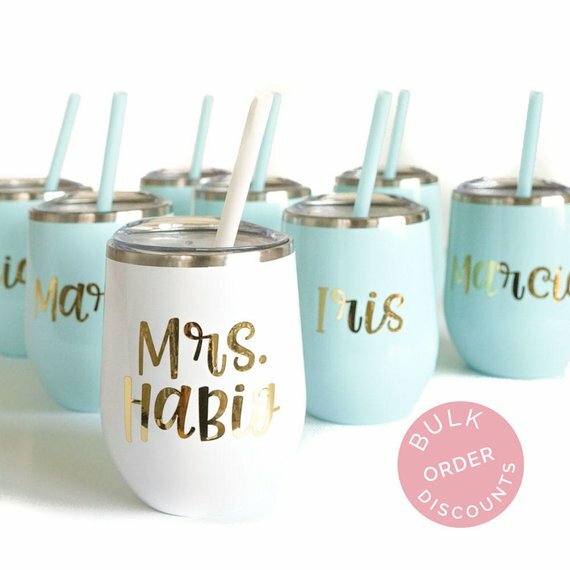 If you do a bulk order of tumblers, you get a discount. Sweet! Take a look at the shop to see more + order yours here. P.S. Need more gift ideas? Read this! P.S.S. 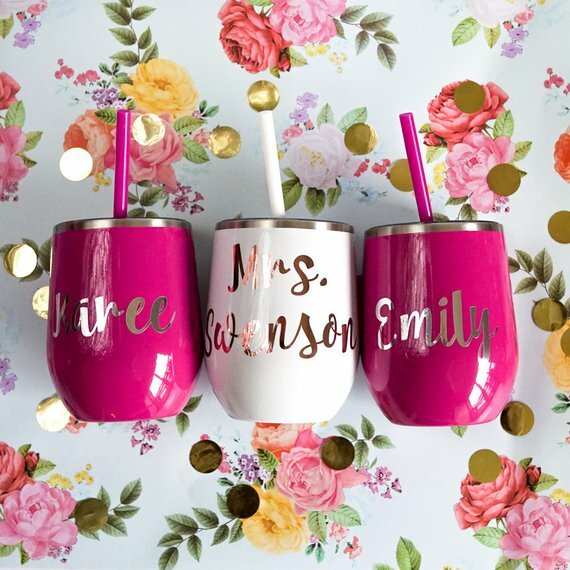 Now that you have gifts for bridesmaids, here’s something your flower girl will adore. Bye, Wedding Stress: Hello, All-Inclusive Wedding Packages!